Social Media Week (SMW) is a global yearly conference that brings together the brightest minds in the social media, technology and business world; sharing great ideas, innovations and insights into how social media and technology are changing business, society and culture around the world. SMW hosts conferences on six continents: Europe, North America, South America, Africa, Australia and Asia. And has over 70,000 physical attendees every year, 5,000 speakers and more than 1 million people connecting through social and mobile. And as expected Nigeria is not left out. 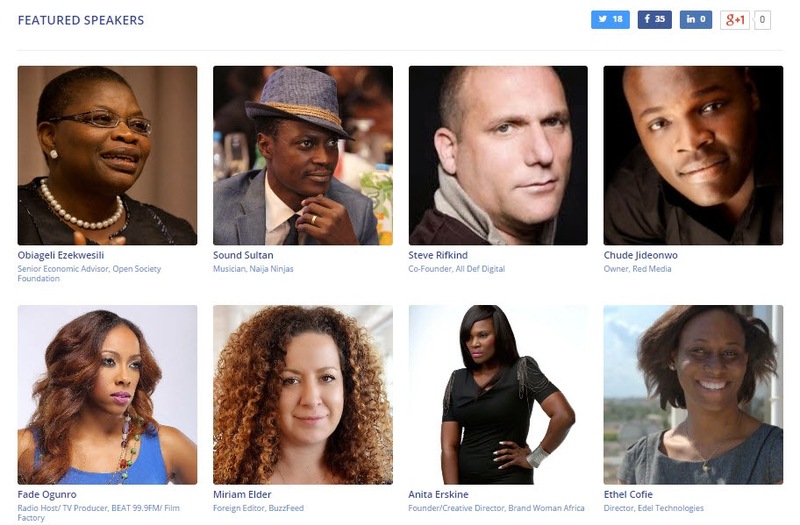 In Africa, there are yearly SMW conferences in Cairo, Lagos and Johannesburg. And this month, the Lagos conference will hold between Feb 23 to Feb 27, 2015. It's a week long event and brings you in close contact with the great minds in our social media, startup and technology space. And below is a sneak peek at the events for the first days of the event, just to show you the high value events lined up for the SMWLagos 2015 conference. 2015 Elections: Where are the Ethics on Social Media? Hosted by Beauty By Nature Inc.